Take out the trash. Go through your home and dispose of any items that are broken, forgotten, worn or unused. Contain the keepers. Woven baskets, plastic bins, hatboxes and other containers can hold many items and clear up visual clutter. Hang everything. Hanging compartments provide arrays of pockets for you to store everything from shoes to small items like makeup brushes or tie clips. These compartments hang easily on doors and disappear from sight when the doors are closed. Display photographs. Souvenirs are great, but often end up gathering dust. Instead, display pictures in creative ways that take up minimal space: hang frames, create a collage or pin prints to a clothesline on your wall. Use secret storage. Some furniture includes storage space. Optimize your furniture by using items like ottomans and tables with hidden compartments. Donate. If you’re reluctant to throw away usable items, take them to your local donation center or Goodwill. Consider external storage. If you have larger items that require more space, like seasonal sporting equipment, it may be practical to rent a storage unit. Keep large, clunky equipment like skis and surfboards out of the way until you need them. Make it a habit. Clutter is a habit, and so is organization. 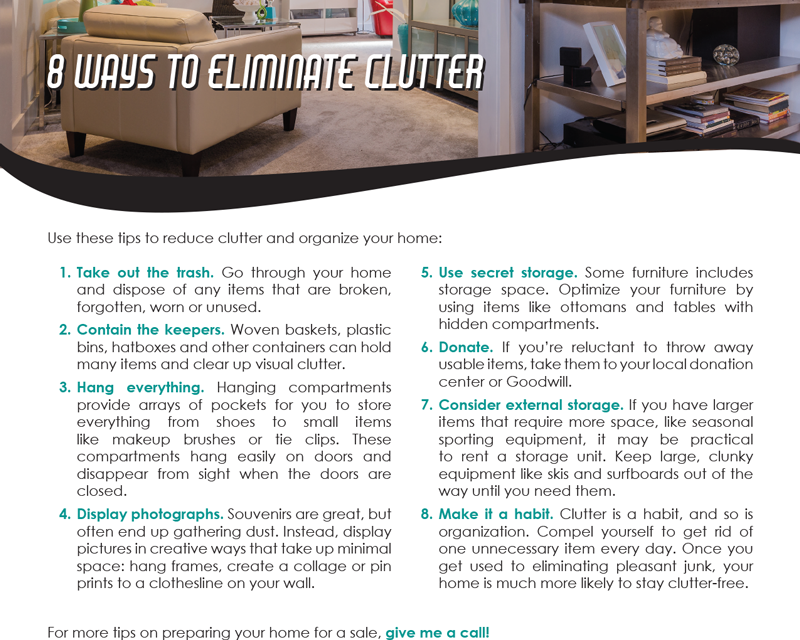 Compel yourself to get rid of one unnecessary item every day. 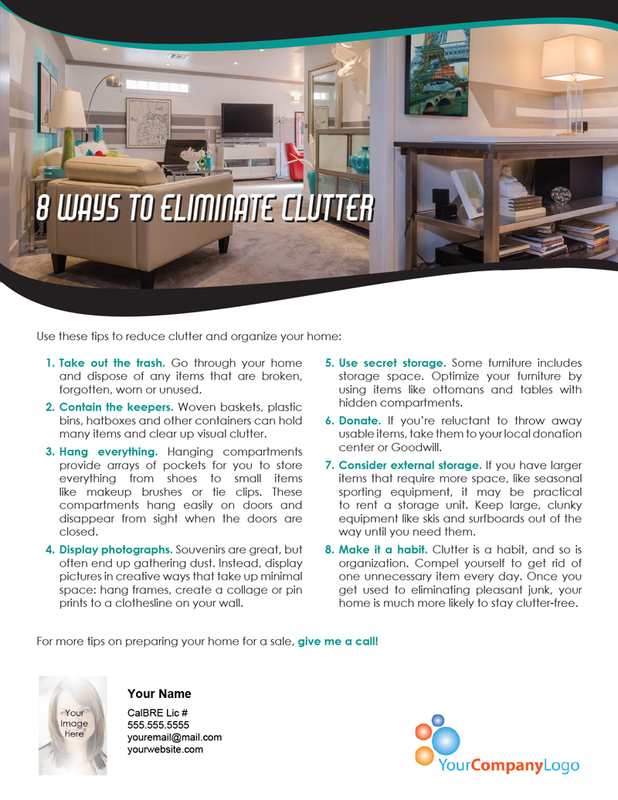 Once you get used to eliminating pleasant junk, your home is much more likely to stay clutter-free. For more tips on preparing your home for a sale, give me a call! 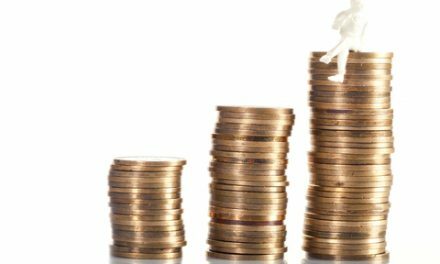 PreviousHow often does the fee split offered by the cooperating broker determine whether you show a property to your client?